Corporate and Litigation Counsel in New York City. "I am Adrian Szendel, the founder and principal of Szendel PLLC. I founded this firm so that I could work closely with the clients with whom I best identify and most enjoy serving. I apply my years of experience in handling major litigation and business transactions for the benefit of New York area businesses who desire high-quality, personalized service from a devoted professional. In my practice, I strive not only to help my clients achieve their business objectives, which I find tremendously rewarding, but also to demonstrate the value of integrity and character in the legal profession. I invite you to read Szendel PLLC's Mission Statement, which is a direct reflection on my vision for how a client-focused law practice should function and a statement of my commitment to my clients." - Adrian M. Szendel, Esq. Adrian has been a business lawyer and litigator in New York since 2003. He founded Szendel PLLC in 2010. Prior to founding the firm, he gained extensive experience in complex litigation and business transactions at a boutique Wall Street law firm. As the principal attorney at Szendel PLLC, Adrian has leveraged his top-notch law firm training and experience to deliver exceptional legal services in the areas of business law, dispute resolution and complex litigation to a broad-based, sophisticated clientele. His experience includes representing and counseling businesses in various industries including technology, insurance, staffing, financial services, real estate, restaurant and consulting. Adrian’s litigation experience includes successfully representing Fortune 500 companies, insurance companies, closely-held and family-owned businesses, startups and entrepreneurs in state and federal courts, bankruptcy courts and in arbitration forums throughout the U.S. and abroad. Adrian has gone head-to-head with attorneys from some of the largest, most prestigious law firms in the nation in connection with multi-million dollar disputes on numerous occasions. He has achieved precedent-setting victories on summary judgment and has negotiated countless complex settlement agreements in favor of his clients. Adrian also has substantial experience in counseling and advising small and mid-size companies in all aspects of their business operations. He has counseled numerous clients in the connection with the formation, structuring and finance of startups in various industries. He has also played a key role in facilitating significant business transactions on behalf of established companies, both large and small, through careful drafting and negotiation of complex agreements. 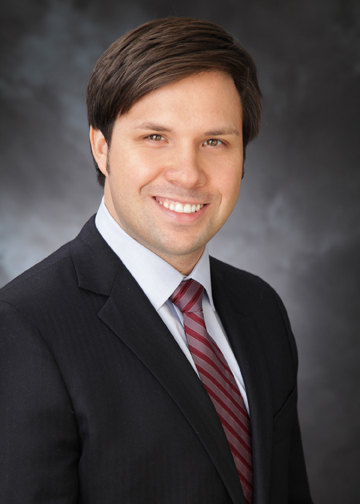 In addition to operating his law practice, Adrian is active in several bar associations and organizations. Since 2007, Adrian has been an active member and Barrister in the Denis J. McInerney/NYCLA American Inn of Court, working and presenting alongside prominent New York attorneys and judges with the purpose of promoting excellence, professionalism and ethical awareness amongst the bench and bar. During law school, Adrian served as a Judicial Extern for The Honorable Alice M. Batchelder, former Chief Judge of the United States Court of Appeals for the Sixth Circuit. He received his Juris Doctor with honors from the Case Western Reserve University School of Law, where he served as an editor of the Case Western Reserve Law Review, a member of the Niagara International Moot Court Team and director of the National Moot Court Team. Adrian currently lives in Brooklyn with his wife and their dog.